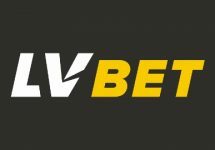 LVbet – Spin Masters Slot Race! 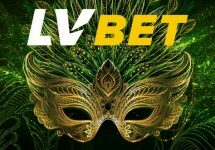 Play for huge amounts of LV Spins! OPT-IN on the tournament page! Race for a share of 10,000 LV Spins on Energy Stars™! Up for some extra weekend excitement? Then jump on to the reels of selected games in a fierce 5-day race, running this weekend at LVbet and be crowned the champion of the Spin Masters Race to win awesome prizes. Wager on a selection of 10 thrilling games to score points and race into the TOP50 to be a winner. Prizes range from 10 – 2,500 LV Spins. All LV Spins will be on the superb Energy Stars™ slot from BF Games. Take part in a thrilling 5-day spin race at LV bet this weekend and play on a selection of ten video slots to score points and race into the TOP100 for a share of the prizes. Spin until 11:59 CET on 16th July 2018 to be crowned the champion. To enter the tournament, players can simply open one of the listed games and complete a minimum of 50 spins. Earn 1 point for every spin of minimum €0.20 on the eligible games. Only real money bets qualify for this promotion. The TOP50 players by noon on 16th July 2018 will win a share of the LV prize pool on Energy Stars™ from BF Games: 1st – 2,500 LV Spins | 2nd – 1,250 | 3rd – 1,000 | 4th & 5th – 750 | 6th to 10th – 150 | 11th to 30th – 75 | 31st to 50th – 50 | 51st to 100th – 10.